A stunning pheasant tie with large motifs. Pheasants are in a variety of poses with a lightly checked pattern in light olive. 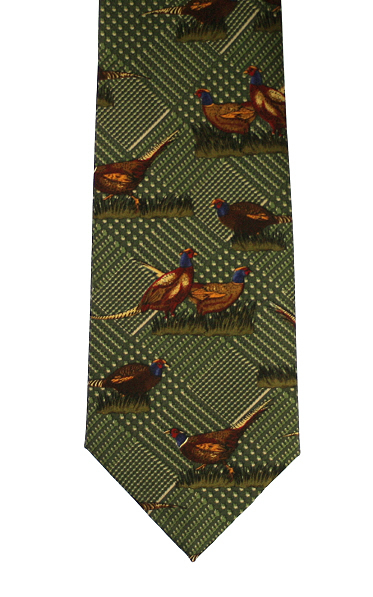 A stunning pheasant tie with a double pheasants designin standing pose on apurple background. Made in the UK from English silk.